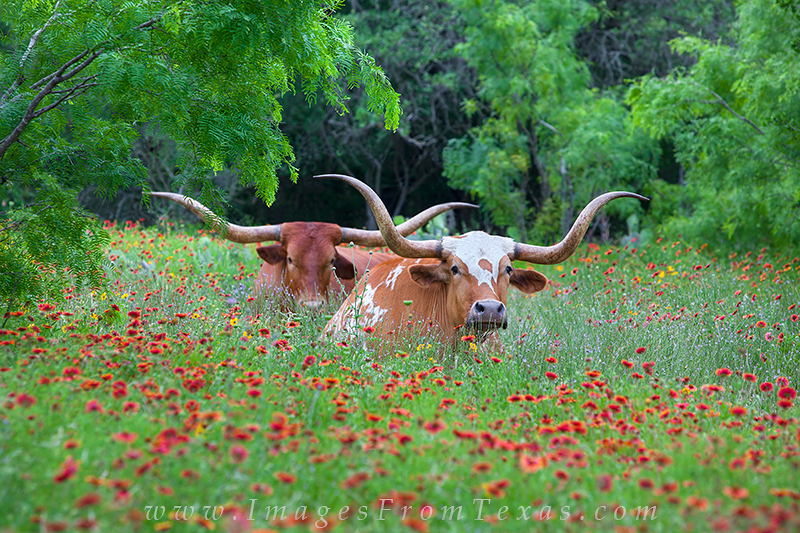 As one of my best selling Texas Hill Country and Wildflower images, this shot of two longhorns lounging in a field of Indian Blankets is typical for springtime. I was driving around looking for the spring flowers when I saw these two regal creatures enjoying the morning. They never strayed as I took several shots. It was truly a serendipitous moment and I'm thankful for the opportunity! Photo © copyright by Rob Greebon.